It's simple to soothe and smooth your way to gorgeous legs with this seriously moisturizing Leg Gloss. Use this delicious potion daily to ensure that your skin is drenched with much needed moisture while also adding an irresistibly subtle sheen to your skin. Do note the word that I use the word "subtle", we aren't going for that icky oil slick look! The skin on your legs is really prone to dryness and that horrid, horrid scaly feel. But with the addition of luscious Brazilian Leg Gloss to your daily routine will ensure that your legs remain Gloriously gorgeous all year long. Ultra quenching Brazil Nut Oil combines with my Rosemary Oil and protective Bilberry Leaf Oil to nourish and smooth. While a drop or two of Horse Chestnut Oil will boost circulation, a dash of Carrot Tissue for tone and just a teeny bit of Lemon Seed for extra rejuvenation. Brazilian Leg Gloss is the perfect choice to soften & hydrate your legs. Try using alongside my Shea Salvation Balm for perfectly smoothing skincare. Please do remember that I blend your Brazilian Leg Gloss to order (taking into account all the information you provide in the "All About You" questionnaire) so the ingredients in your bespoke blend may differ slightly from the ones listed below. Rich in skin transforming nutrients like Vitamins A, E & super soothing Selenium. This divine oil is the perfect choice to instantly moisturize and hydrate your legs, banishing that horrid chicken skin look in seconds! Revitalizing Rosemary is the perfect addition to this leg loving potion. It has a luscious hydrating action while also boosting circulation to help tone and revive legs. You will find Sage in many a cellulite banishing treatment and for very good reason as its stimulating action helps to tighten and tone the appearance of neglected skin. Horse Chestnut is prized for its ability to strengthen capillaries and soothing inflammation making it a fabulous to addition to help combat varicose veins. My skin strengthening Bilberry Leaf Oil is perfect to help tone skin, while also helping to boost circulation and banish that achy leg feeling! A wonderful oil to rejuvenate and regenerate dry skin. Rich in natural Vitamin A means that it has a super revitalizing action and helps skin heal from those inevitable bumps and nicks that seem to suddenly appear on your legs. Not only does Lemon Seed boost circulation but it also hydrates and brightens dull, dingy skin adding an extra hit of gloss to this luscious blend. Natural glycerin has an immediately softening and emollient action on skin. It also provides skin with a light barrier to ensure essential moisture is protected and dry skin feels super nourished. I add revitalizing Carrot Seed Oil to this blend as it isn't just rejuvenating it also helps soothe thread veins, while helping boost skin firmness, tone and elasticity. The uplifting cologne like scent of Petitgrain is truly delicious but I add just a drop for its gently antiseptic quality to help heal and its smoothing action on skin. Only a drop of this super stimulating oil is needed to gently soothe aching leg muscles, boost circulation. This marvellous oil will ensure your legs are revived, refreshed and ready to party! A toning tonic for every skin type. I add Lavender to help calm and soften the delicate and very dry skin that often appears on your legs. Its gentle brightening action also helps banish any dull, ashy patches of skin. 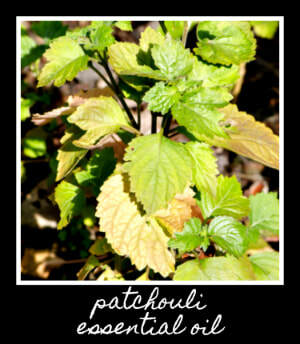 Ok, all you haters out there, give Patchouli a break! I promise I only use the teeniest amount, so you won't notice the scent. It has a wonderful healing action that obliterates those nasty little skin irritations that sometimes blight even the most luscious of limbs.